I’ve been traveling around the country with Janette and a Food Network crew sampling some of the best dishes around the country. It’s been great, but after eating tons of road food and decadent meal after decadent meal, you feel like you need to detox! While back in LA on a recent break between cities, I made this Raw Pad Thai with fresh ingredients I purchased from the Brentwood farmer’s market. It was so refreshing and exactly what I needed. 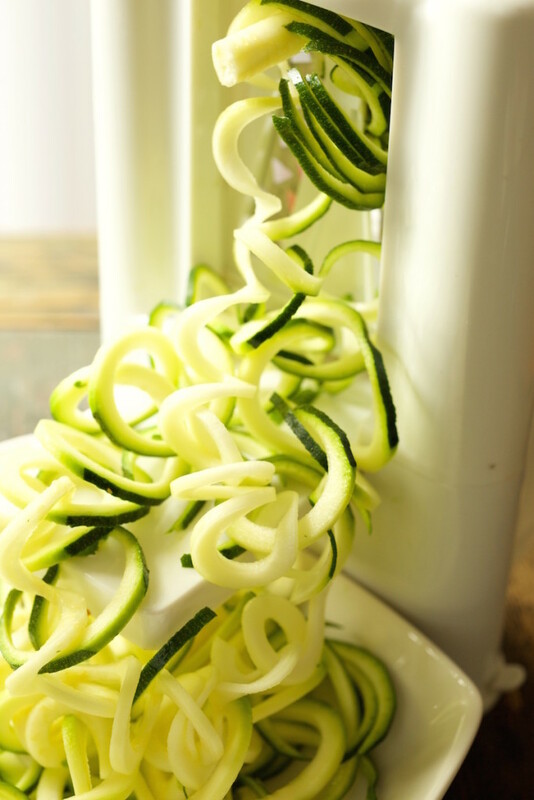 The only tool this dish will require that you may not own is a vegetable spiralizer. Believe it or not, you can pick up the one I use on Amazon for less than thirty bucks. There are also a few cheaper spiralizers out there, some reviews say they don’t last long, but they may get the job done. 1. 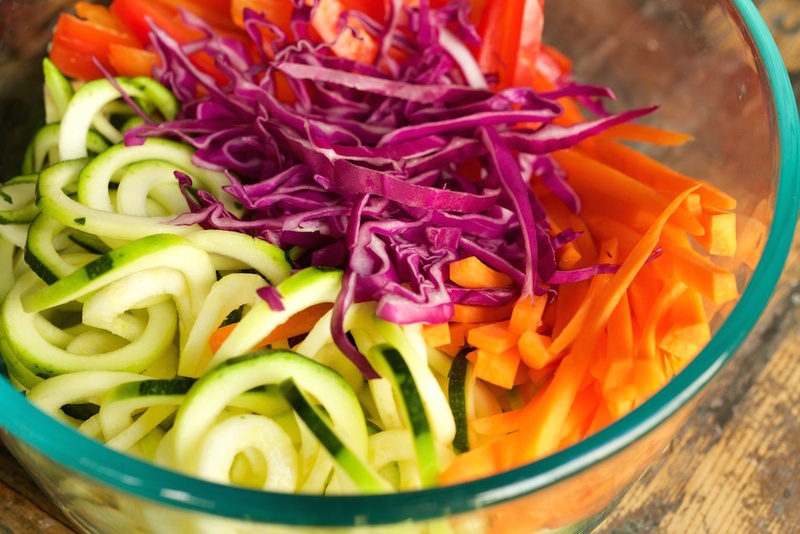 Take all of your sliced/spiralized vegetables and toss them together in a large bowl. 2. 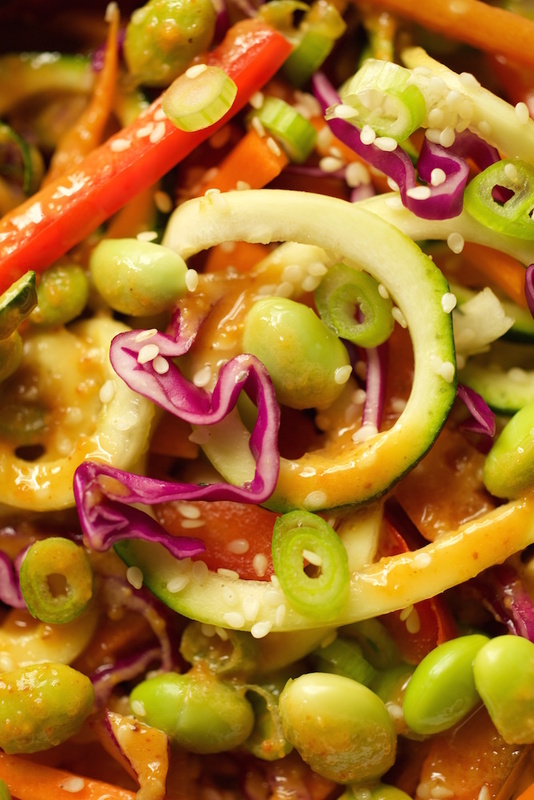 Take all of the dressing ingredients and put them in to a food processor, or whisk thoroughly by hand. 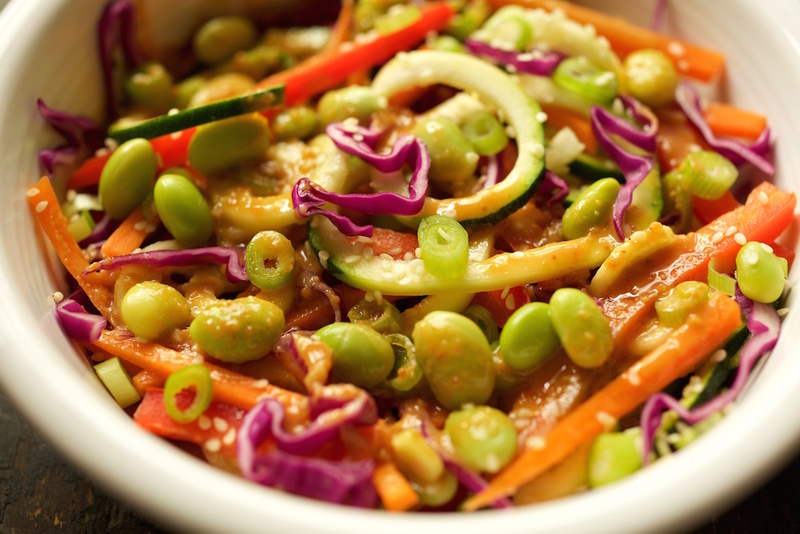 Let stand to allow dressing to thicken. 3. 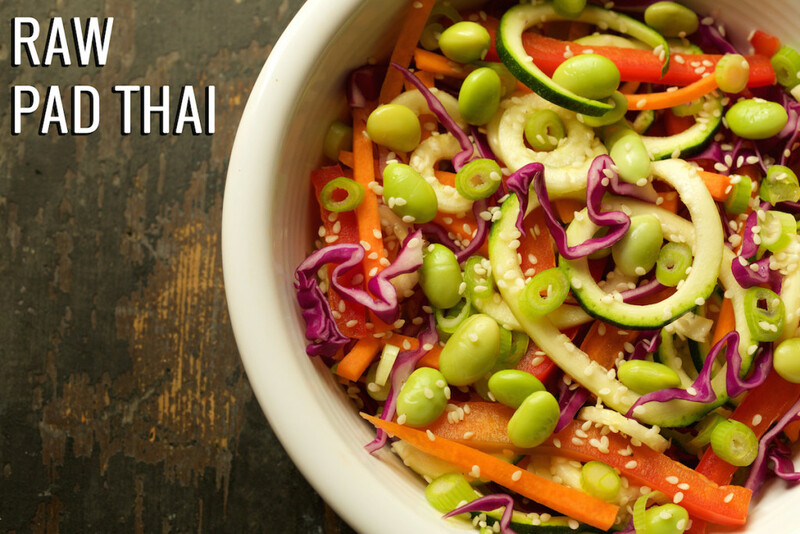 Add the edamame, green onions, and sesame seeds as toppings to your pad thai. Pour some dressing on and serve!